HIT! Super cheap flights to Maldives for only €417! If you ever wanted to visit paradise, you have a chance now: return flights to Maldives are available for super low price! 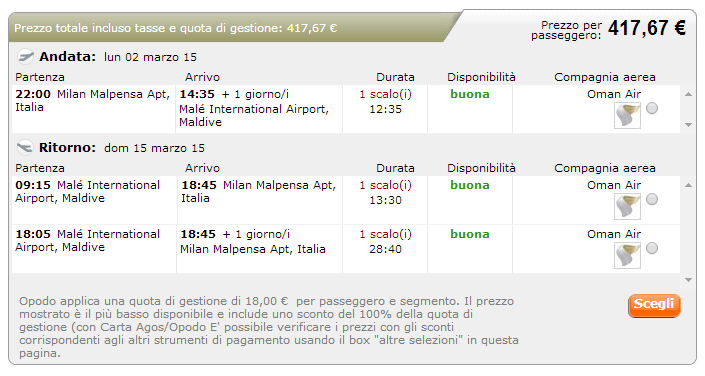 Return flights from Milan (Malpensa) to Male in Maldives are available for only €417! There is one stopover in Muscat, Oman. 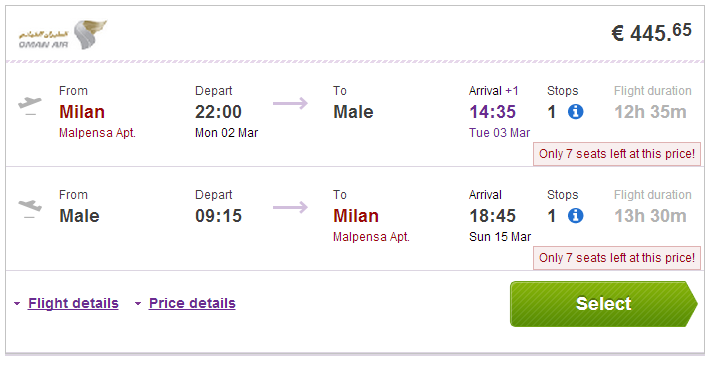 Ryanair, Easyjet and other low cost airlines have cheap flights to Milan from basically any airport in Europe. The best price is available at Opodo.it, if you prefer booking in English book your ticket at BudgetAir for €445. « WOW! Cheap flights to Peru with Lufthansa: Lima for €404!